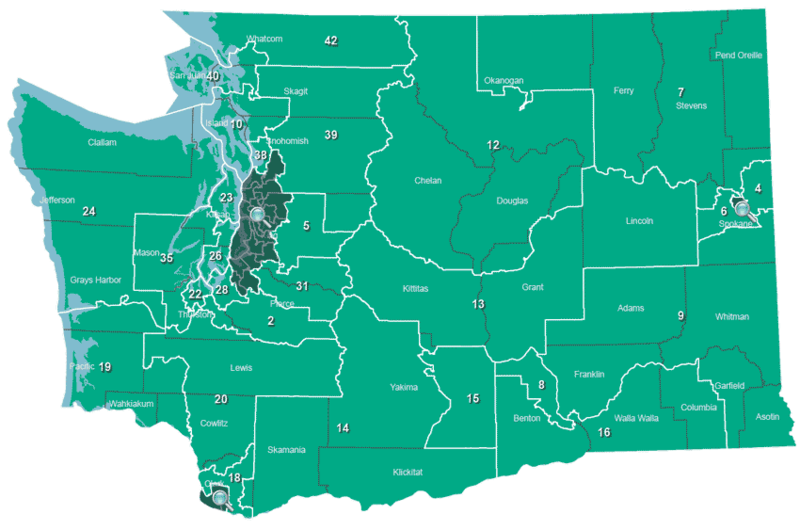 Click on a district to view the results. 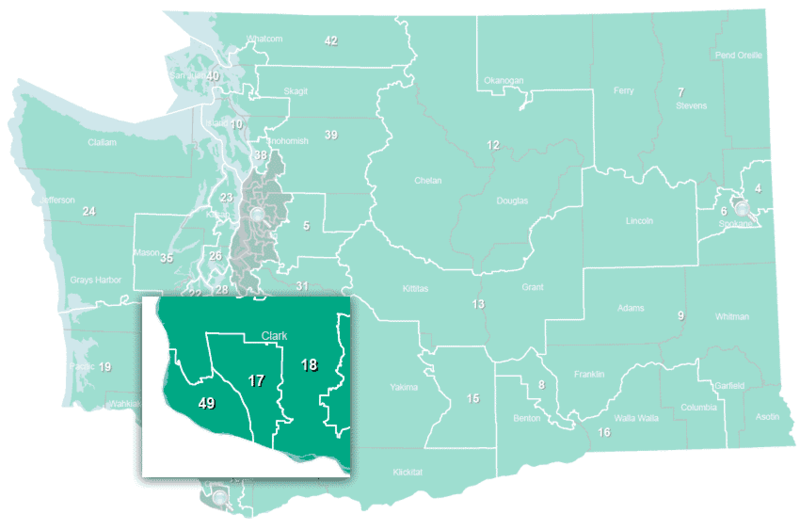 Washington state has 49 Legislative Districts. 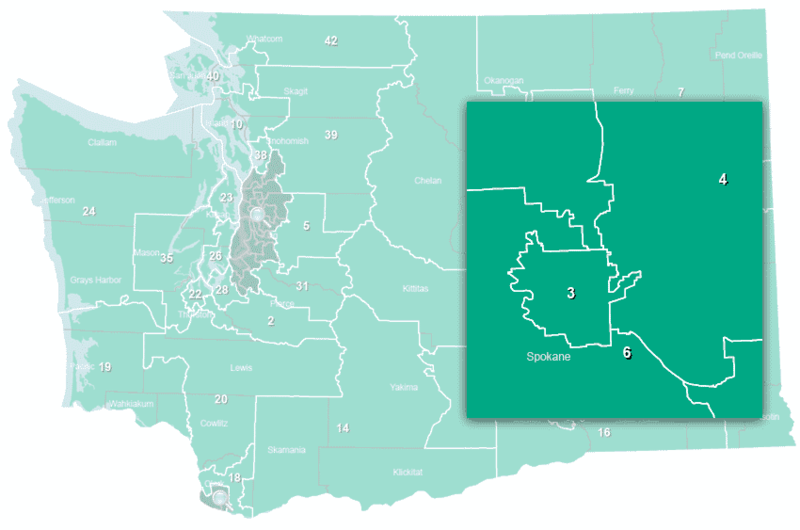 District boundaries are outlined in white. 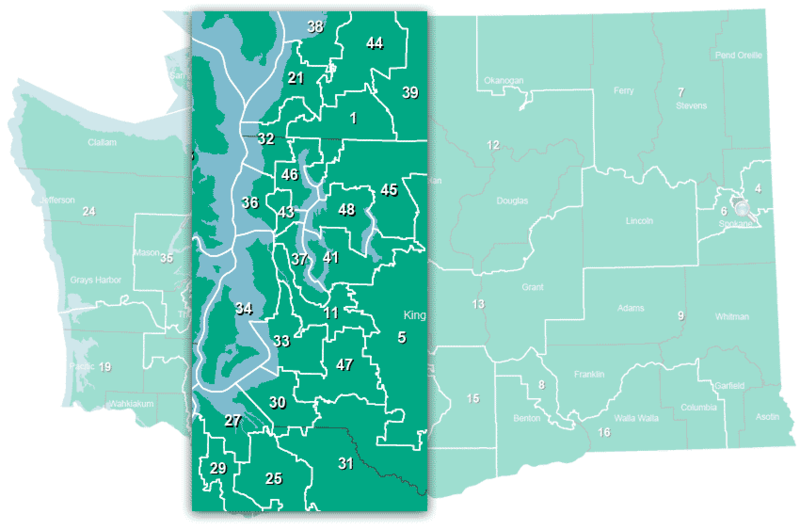 Districts colored green are part of this election and can be clicked on to view results.Three metropolitan areas are shaded and contain additional districts that may be enlarged by clicking on them. Enter the name of a candidate in the search box above to view election results for that candidate.